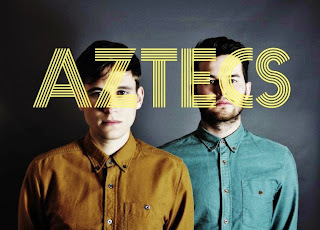 I'm a big fan of a bit of catchy synth-pop, so when 'Ice Cream' by AZTECS appeared in my ears, I was immediately hooked. Formed out of Derbyshire outfit Siblings, John Steele and John Dell created AZTECS in the latter half of 2013 - releasing their debut EP today, through The Shipping Forecast label. Somewhat reminiscent of fellow duo We The Wild, albeit with less of a darker tinge, AZTECS have aspirations of anthemic pop - best seen on 'Bad Blood' (with elements of The 1975 and Vampire Weekend) and the aforementioned 'Ice Cream'. Bouncy brilliance. Find more info at facebook.com/officialaztecs.